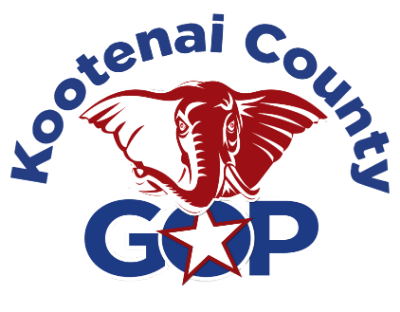 The Kootenai County Republican Central Committee urges you to vote NO on proposition 2. Obamacare has been shown to be a failure. If this proposition passes, it would make things worse for Idaho. 1) Expanding Medicaid to able-bodied adults actually discourage them from getting a job. 2) Funding to cover the costs associated with Medicaid expansion will divert funds away from education, infrastructure, and public safety. 3) Nearly 6000,000 truly needy individuals with disabilities are trapped on Medicaid waiting lists. This will make the wait even longer. 4) The expansion plan contains no enrollment cap. Vote on Tuesday, November 6th. Vote No on proposition 2!